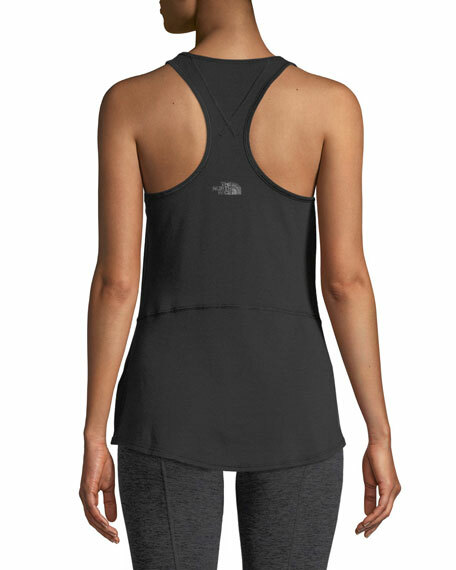 The North Face workout tank with FlashDry sweat-wicking technology. Caroline Rose "Crepe Suzette" basic tank. Scoop neckline. Sleeveless; wide shoulder straps. Relaxed fit. Straight hem; side slits. Polyester. Hand wash. Made in USA of imported material. Eileen Fisher long, jersey-knit tank. Scoop neckline. Sleeveless. Relaxed silhouette. Below-hip length. Straight hem. Pullover style. Tencel?? lyocell/spandex. Machine wash.
Eileen Fisher long, jersey-knit tank. Scoop neckline. Sleeveless. Relaxed silhouette. Below-hip length. Straight hem. Pullover style. Tencel?? lyocell/spandex. Machine wash. Made in USA of imported material. Misook soft, wrinkle-resistant tank? ?perfect for layering. Approx. measurements: 22.5"L from shoulder to hem, 26.5"L down center back. Scoop neckline. Sleeveless. Misook soft, wrinkle-resistant tank? ?perfect for layering. Approx. measurements: 22.5"L from shoulder to hem, 26.5"L down center back. Scoop neckline. Sleeveless. Slim fit. Pullover style. Acrylic/polyester. Machine washable. Imported. Model's measurements: Height 5'10"/177cm, bust 33"/84cm, waist 25.6"/65.2cm, hips 35.8"/91cm, dress size US 2-4/FR 34-36. 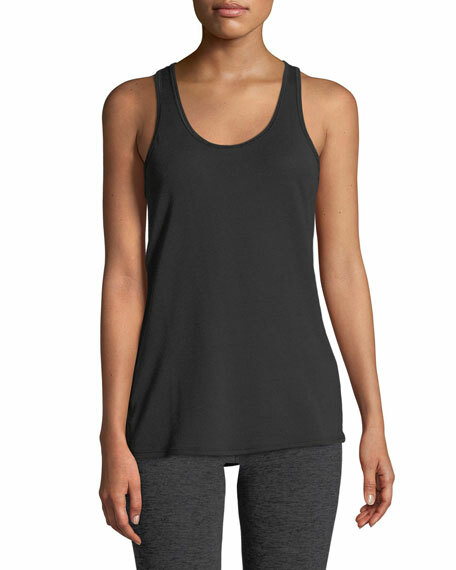 Misook tank in smooth, wrinkle-resistant knit. Approx. 25"L from shoulder to hem. Scoop neckline. Sleeveless. Side slits. Relaxed fit. Pullover style. Acrylic/polyester. Hand wash. Imported.